What Would Ralph Klein Do? Most would agree that Alberta is the economic engine of Canada and with the sudden down turn in the global price of oil, no one is feeling the affects more then Albertans. In Alberta, the conversation is about ending the madness of living beyond their means. Premier Jim Prentice is musing about raising taxes, cutting spending and running a deficit. Alberta is no stranger to cut backs. When the late Ralph Klein became Premier in December of ’92, his government took a knife to funding for arts and health programs, going so far as to demolish hospitals, laying off thousands of nurses, and selling off the provincial public telephone company AGT to private interests. Klein’s social and environmental views were seen by opponents as uncaring. Ralph Klein made some tough decisions in tough times that lead to positive impacts to the economy as a whole. 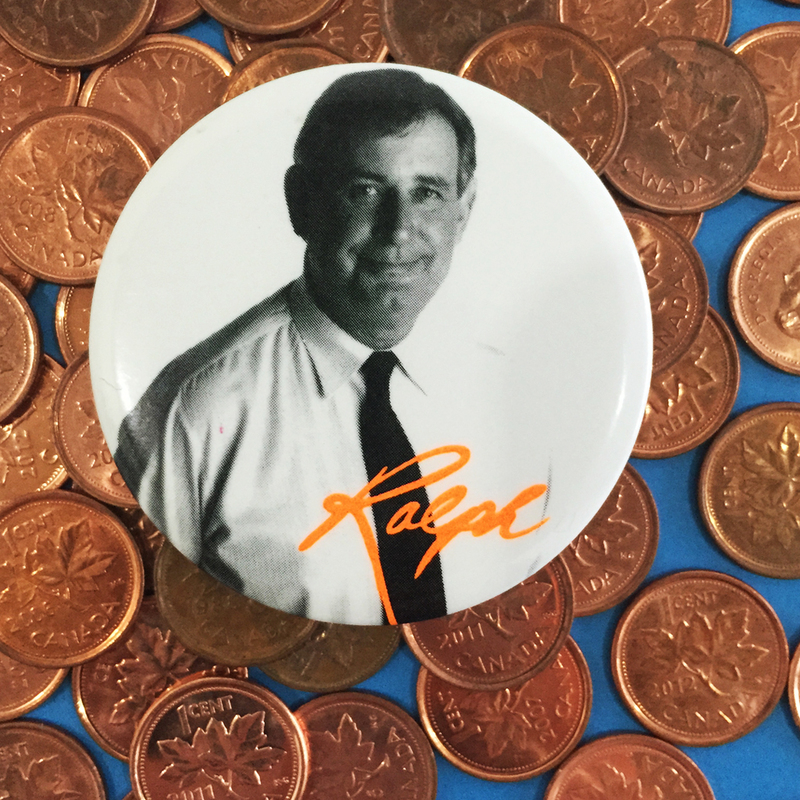 Ralph Klein’s vintage 2.25″ campaign button is from our collection. Stay current with behind the scene button news, special button offers & early discount code announcements for insiders. © 2019 Six Cent Press Inc.